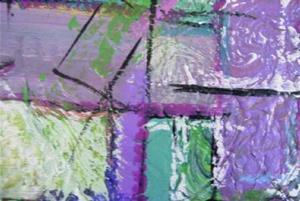 The Contemporary, Modern, and Abstract Painting presented here is an original artwork from my "ENLIGHTENMENT" Series. 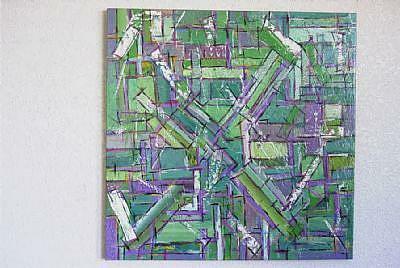 It is signed by Fine Artist Dawn Hough Sebaugh, dated and titled "CROSS OF JADE, 2004". You are acquiring this directly from the artist. This interestingly textured vibrant piece was created using Acrylic and Oil Media on gallery stretched canvas, measuring 24 X 24 inches. The sides are painted black so there is no need for framing! A Certificate of Authenticity will accompany this art work. 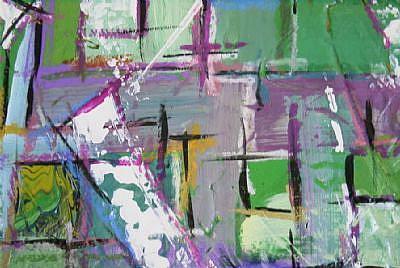 Artwork is copyrighted 2004.